You will most likely increase your vegetable intake during the Daniel Fast. Fresh is great for your salads, but for cooking you might want to turn to the frozen food section of the grocery store. The truth is that frozen foods maintain more of their vitamin and mineral content because they are flash frozen within a much shorter period of time from harvesting than those in the fresh produce section of the grocery store. There are great vegetable medleys perfect for stir fry plus some mixed vegetables that are great for rice dishes and soup. Plus, when you READ THE INGREDIENTS you will find only the list of frozen vegetables . . . no sugar, no chemicals . . . just food! The other great benefit is that these vegetables are all ready to go! They’re cleaned, cored, trimmed and cut into bite-size pieces. So the frozen vegetables come out on top in most cases when it comes to cooked dishes. Yes, all vegetables are allowed, just watch what goes on top. Be Blessed on your Fast! Thank you so much for taking the time to add this great tip. I love that different members of the body of Christ share of their experience, intellect and wisdom so that others benefit. I also appreciate the kind words about the site. This is indeed a labor of God’s love and a blessing for me as I am able to communicate with so many wonderful men and women of God around the world. Most frozen vegetables may seem to have more nutrients in them because they’re flash frozen but most if not all of the nutrients are cooked out of them because they take longer to cook then fresh vegetables. Most people will boil frozen vegi’s and that takes almost all the nutrients out. The best is always fresh vegi’s but for time sake frozen is understandable. The best way to cook them and not lose all the nutrients is to steam them or microwave them in a bowl with a very small amount of water (not enough to even cover them). And thanks for this site, I’ve really enjoyed it! i went to church on mother’s day and it was truly a blessing. it’s not that i don’t so but when i’m not working i do attend church. i have been going through some storms in the last few months and i know that God has my back.my cousin was in church who came from richmond and it was a blessin g to see her. she told me about the daniel fast and i decided to give it a try. i have been job seeking for some time. i want a job change. i am away from my family all the time. i work a 7-day swing shift. i put another application in for our social services and i am trusting God and i believe that he will make a way for me to get my dtraight daylight job and have my weekends off to be with my family.so i will step out on faith . 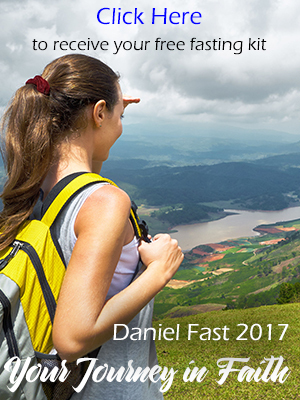 the daniel fast is my assurance for me that God will do just what he said.